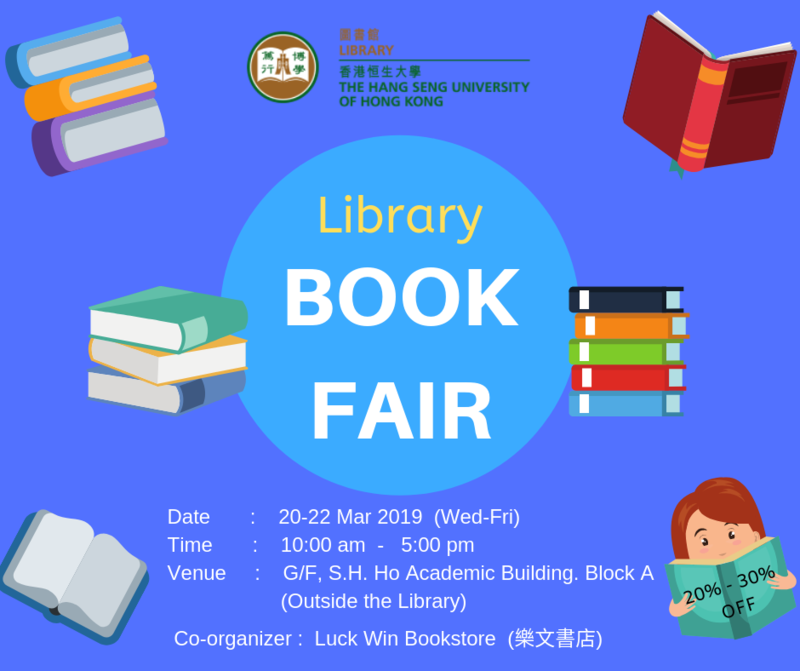 The Library is going to hold the second Book Fair with Luck Win Bookstore (樂文書店) from 20 – 22 March. During these three days, you can come and look for any good books to read. What’s more, all the books are up to 30% off! Come by and get the house of gold in books!